Today is my son’s 13th birthday. 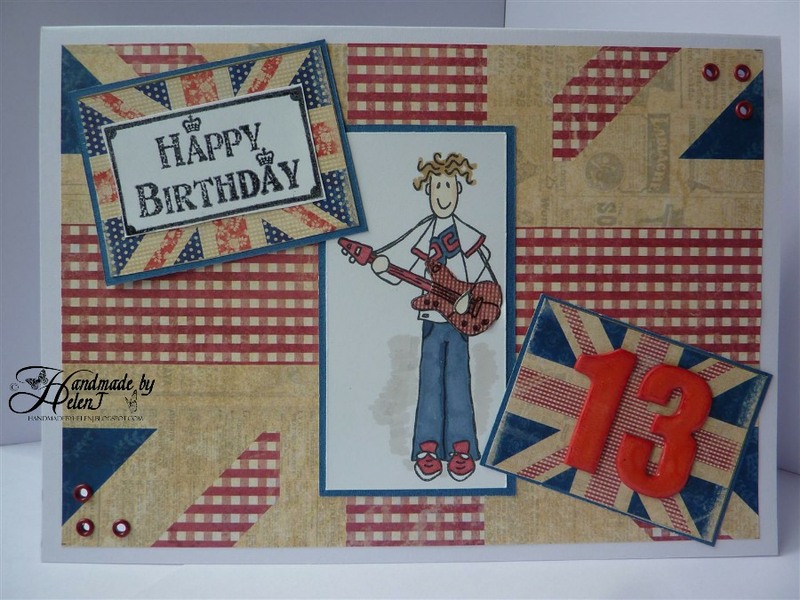 At the moment he spends every spare moment playing his guitar so it was obvious what the choice of image would be! 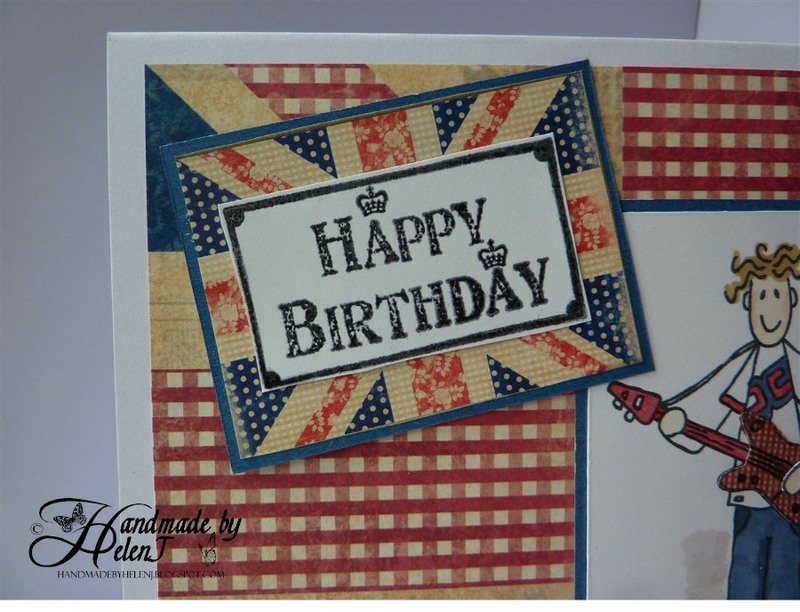 He’s also very patriotic so I decided to use Portobello Road papers and a red, white & blue theme. Woodware Boy Zone stamp, coloured with Promarkers. Papermania Portobello Road papers, Woodware chipboard numbers coloured with Promarkers & Anita’s 3D gloss used to finish.